At the first concert of the autumn season of the series “Virolainen musiikki soi” Estonian folk music based ensemble Rüüt will perform. Members of the band are Juhan Uppin, Maarja Soomre, Maili Metssalu and Toomas Oks. Rüüt is a vibrant, playful and boundary-pushing ensemble. With their nuanced sound, they guarantee a genuine listening pleasure to both music lovers and lively party-goers. The band consists of four members, who have been working together for five years now. During this time, the members of the ensemble have grown together, although at the beginning they were four musicians from the completely different worlds. Right now, their music mixes colours from each member’s world, which is brought together by a common attitude towards music and creation. Together, they are not afraid to experiment, break the boundaries, and constantly search for fresh sound colours and smart solutions. 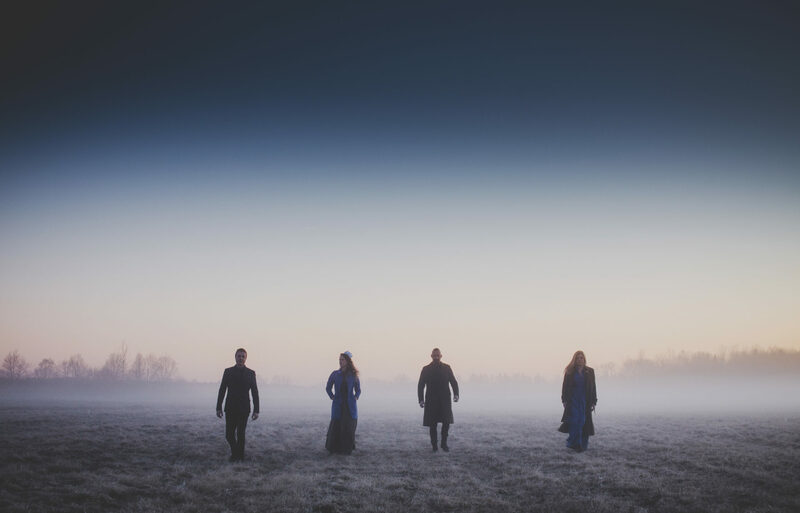 Although the band relies on Estonian folk music, Rüüt does not limit themselves to a particular genre but keeps all the doors open. Because of this, each song has a one of a kind character and takes the listener to a unique soundscape. In addition to traditional music arrangements, the band also performs its own songs written by each member. A powerful component of the sound language of Rüüt is an innovative use of a unique teppo-type accordion played by the male members of the band. However, the female vocals of the band are recognizable in their nuances, because the powerful traditional song and subtle polyphonic singing are skillfully combined. In addition to preserving traditional music, the ensemble values nature. Many of the songs from their album “Kadakad” are inspired directly by nature and are portraying imagery of meadows, forests, sea and land. The listeners are taken out of town, to the strawberry fields, coastal meadows and among the summerly junipers to yearn for something and to fall in love.